DramaQueerz: Men för helvete Hollyoaks! That is Swedish. Feel free to google translate. Words cannot describe how disappointed I am about that statement! Starry is just not my thang. I was so looking forrward to a McHay reunion! Well, I have a small small hope about that being just something to mislead us. But Starry just is nothing to McHay! And that chemistry he is talking about, I just don't see it! Anyone with me?! as much as I've enjoyed McHay, they really need to just get Brendan out of jail somehow. I really don't care how, he just needs to be back. Stendan is where my heart will always be. 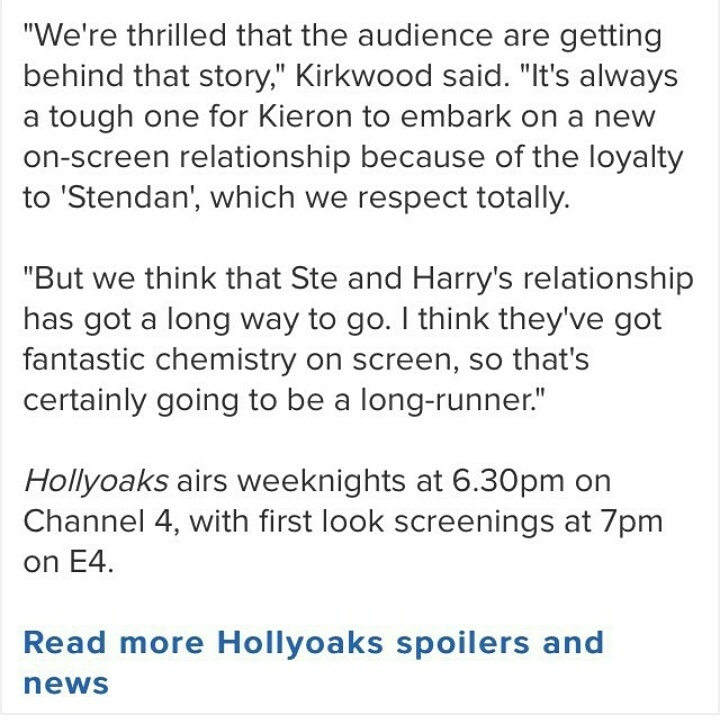 that ship will always be my OTP for ste and nothing that hollyoaks ever tries to do with ste will ever live up to it. Well, I do agree with you, there is no chance in hell that Emmett will return to Hollyoaks, so if I can't get Stendan, McHay is really a good substitute. why isn't there a chance in hell that Emmett will return? like, did he leave the show on bad terms? or is his character just a goner? He just moved on. If you follow him on insta or twitter it's quite obvious. I guess he has nothing against Hollyoaks and a short guest appearance is possible but he has bigger plans than a soap nowdays. 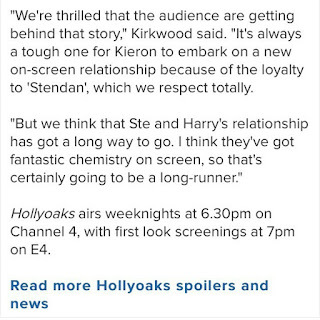 And a short appearance for Brendan, I just don't see how they can fit that inna storyline with a Stendan reunion. So I am quite sure it will never happen. Sandro and Claudio, what an anticlimax!